Hey silver not sure when mod's are on. Silvers question is why it is taking so long to find a game? I was like im sorry silver I realize you have played 1800 odd games in the last 24h, unfortunately he asked within the 23h timeframe when mods aren't on. Was that the guy who was asking about why it took so long to get into tier II battles at midnight? I remember seeing someone asking about that in the very brief time I had a look at GC. nah he was asking why it took so long to get into the 1845th battle at T1 in the past 24hours. no doubt the account will have a handful of T8 prems by tomorrow, so it will be a high valued customer of wg. You don't get games in tier 1 because in general nobody plays tier 1s. This is exacerbated by the low server population on the AUS server. I mean seriously, people keep asking why queue takes so long and the simple answer is that MM is struggling to put you into a game. The reason why MM is struggling to put you into a game is because it is struggling to find other people to match you up with. I thought moderators were magical beings with unparalled control over game content! Man if I PM Neokai hard enough he will help introduce the Aufklärungspanzer into the game and help cure my myopia! The mods fixed my MM way back. It's because i always praise their good work. Great job guys! Edited by Ezz, 13 January 2018 - 10:45 AM. wait just realized....neokai got upgraded to a senior mod? how did i not realize this before? Edited by Wolvenworks, 19 January 2018 - 11:11 PM. I guess you can call Cent daddy and Neokai the mommy of the forum. what kinda mommy is an otaku? we don't even know Neokai's gender! so we're using a Rule of Internet for now: until proven, everyone in the net is a dude. anyway abt that OP, who is this "Silver" guy? can't he just come here and find the mods by himself? What's wrong? Chicken? Edited by Wolvenworks, 22 January 2018 - 12:11 PM. what kinda mommy is an otaku? we don't even know Neokai's gender! 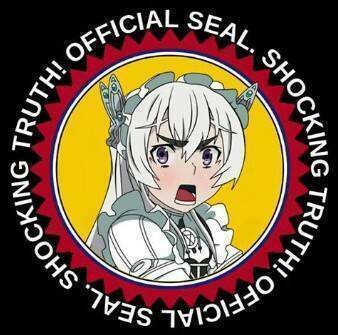 so we're using a Rule of Internet for now: until proven, everyone in the net is a dude Trap. I would add Sagiri's drawing gif... but too lewd.